The Crossroads pendant light by Tech Lighting is inspired by the big city streets and intersections illuminated at night. 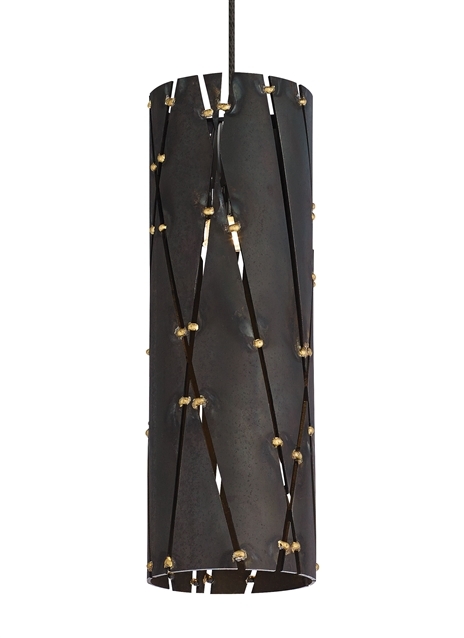 This unique pendant is composed of raw sheet steel protected with a clear lacquer coat and accented by brass spot welding at the joints with purposefully imperfect, rugged industrial design. The Crossroads family is completed by the Crossroads wall sconce and linear suspension. Ships with your choice of halogen or LED lamping both options are fully dimmable to create the desired ambiance in your special space. Pair the Crossroads pendant with the Monorail system by Tech Lighting for greater design customization.